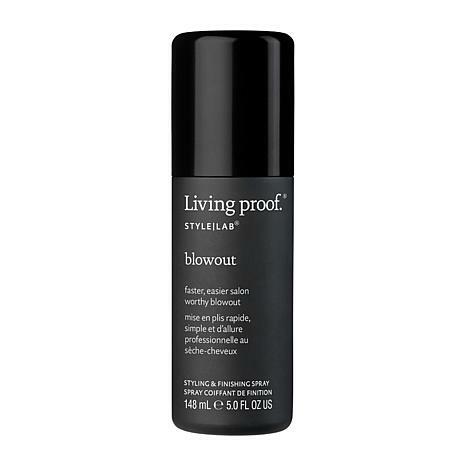 Powered by Living Proof’s breakthrough Thermal Speed-Shaping Technology, Blowout helps create a faster, easier more professional looking blowout! 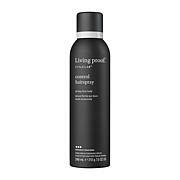 Locks in your blowout all day; provides heat protection up to 450°F/230°C; can be used alone or layered with your favorite leave-in conditioners and stylers; can be used on second-day hair or to touch-up as a finishing step. Section hair, mist section by section, and blow out using a round brush (not included) to shape and set your style. Spray on finished styles for extra hold. Blowout may also be used on second-day hair to touch up your look. If pump clogs, run under hot water. 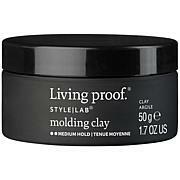 Love living proof but hate that most all of my product showed up half empty all over the box.Not the first time it has happened with liquid product.